My absolute favorite champagne for celebrations or everyday drinking (why not?) is Billecart-Salmon Brut Rose. 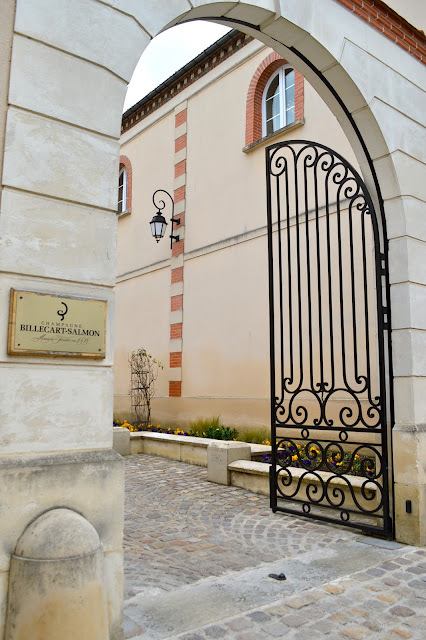 So a recent visit just before Easter to the Billecart-Salmon champagne house in France was somewhat of a visit to the Motherland for me, and definitely a check mark on my travel bucket list. Billecart-Salmon is located in the Champagne region of France, about an hour's drive from Reims, and was founded in 1818 by Nicolas Francois Billecart and Elisabeth Salmon, (pictured below). 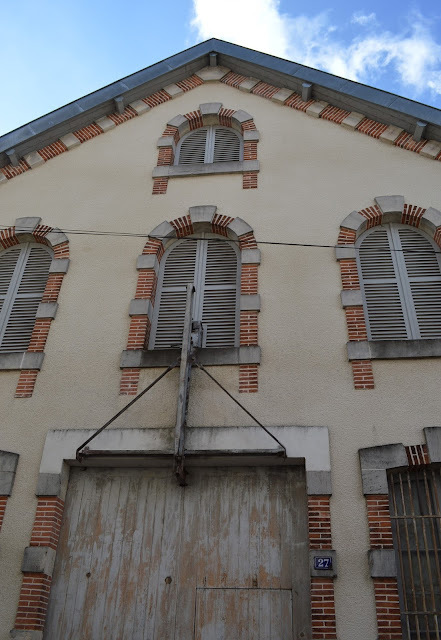 It is one of the few champagne houses that is still family owned today. The excitement really begins when you don your protective eyewear (aging champagne bottles can explode unexpectedly at any moment) and descend underground into the champagne caves; there are over two miles of underground tunnels beneath the house! The tour continues outside past the manicured gardens to a beautiful old building that has been completely renovated inside. This building houses all of the oak barrels in which the champagne ages and matures over time before it is ready to be bottled. 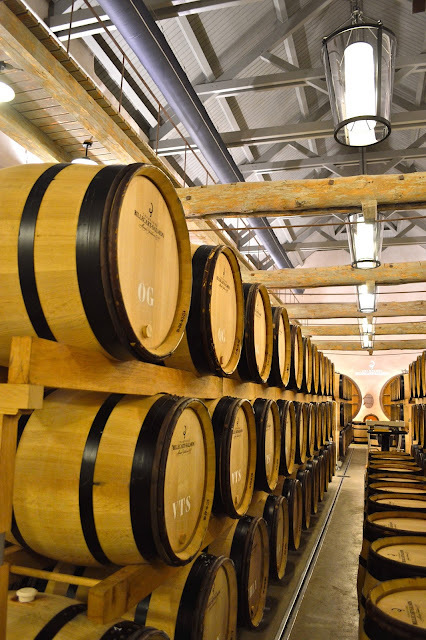 The barrels are marked with initials to indicate exactly which vineyards in the various towns of Champagne their grapes have come from as well as which variety of grape has been used, all of which is neatly written on a chalkboard for reference. The tour concludes with the moment we all patiently waited for: a tasting of three different Billecart-Salmon champagnes around the table in their tasting room. (I may have snuck seconds on the rose when the tour leader turned his back)! On the way out you can visit the Billecart-Salmon shop to purchase, of course, champagne, as well as aprons, dish towels, ice buckets and various other branded items. The tour of the house costs around 25EUR and lasts about an hour and a half. **A little tip for those living in London: Fortnum & Mason sells their own label of rose champagne, which is produced by none other than Billecart-Salmon and a good £10 less expensive than the BS rose. It is a very detailed and informative post. 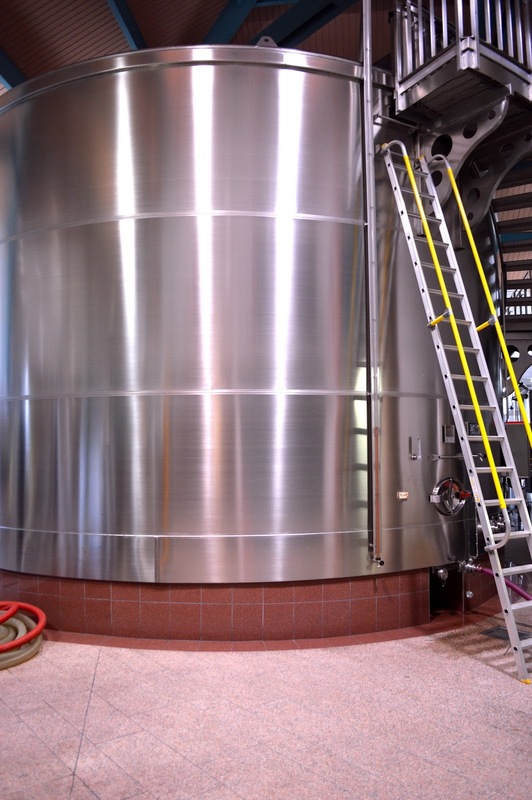 Just by looking at the pictures the whole process from growing grapes to dispatching wine to the market was understood. Thank you for your post. the pictures clicked are excellent. Your post always seem to be like a review of AssignmentExpert. You totally know about what you write.